The smoking cessation medications varenicline and bupropion do not appear to increase the incidence of serious neuropsychiatric side effects compared to placebo, according to a study published in The Lancet in April, this paper provides details of the FDA-requested study that involved over 8,000 people. Read about it in the Lancet and ScienceDaily. 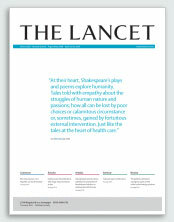 Laurie Zawertailo comments on the study in the Lancet.